What is Behavioural Inhibition? It is a relatively consistent pattern of behavioural and emotional responses to unfamiliar or novel people, places and situations, or objects. Inhibited children typically respond to novel situations with initial restraint, caution, low rates of approach, and quiet withdrawal, and with unfamiliar people, they are usually shy, timid, and reticent. One of the reasons Behavioural Inhibition warrants attention is the potential impact on children’s psychosocial development. For example, children with Behavioural Inhibition are at increased risk for developing internalizing disorders later in childhood. Gillian and her team found that parents and teachers can help to identify Behavioural Inhibition through a 30-item questionnaire, a more time- and cost-effective alternative to observational methods previously used. 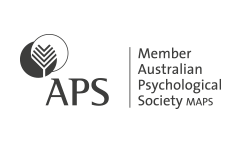 Gillian Bishop is a clinical psychologist at Walters Green Clinical Psychology Practice with over 10 years’ experience and a particular interest in treating anxiety disorders and depression. As part of her PhD thesis, she has worked to develop a questionnaire to screen for Behavioural Inhibition in children. At Walters Green Clinical Psychology Practice, we offer cognitive and behaviour therapy to adults and children. Call us on 38708191 to book an appointment.